No one plans to be in a motor vehicle collision, work-related accident or other distressing crisis. When they do happen, the consequences are often distressing and financially burdensome. 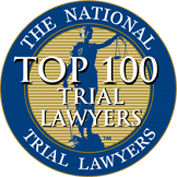 Hiring an attorney can help ensure your right to compensation is protected, and you have adequate funds to pay for medical bills, your lost wages and additional damages. When you require legal representation, Wagner & Wagner Attorneys at Law is here to protect your best interests under the law. We serve clients in and around beautiful Jasper, TN. Traffic accidents. While you might think the insurance company will handle all payments after a car accident or motorcycle accident, that is frequently not the case. You may be offered less than your case is worth, or the insurer may unjustly deny or delay payment. After any type of vehicle crash, from truck accidents to pedestrian accidents, call an attorney right away to help protect your claim. We also help with claims against common carriers, such as busses and trains. Boating or recreational accidents. Boating accidents are frightfully common on lakes and rivers in Jasper, as are other types of recreational accidents. Perhaps you or a loved one was injured at a theme park, playground, playing sports or riding a bike. If your injuries were caused by someone else, you may have a personal injury claim. Premises liability. Whether it was the result of a slip and fall or negligent security, if you sustain injuries on someone else’s property, you could be entitled to compensation. Property owners, including public shops and private residences, are required to keep safe premises and warn visitors of hazards. Product liability. Defective products cause hundreds of injuries, illnesses and deaths in consumers every year. Whether it was a dangerous drug, defective car or bad food, we are here to offer you full-service assistance. Nursing home abuse. You never intended to leave your loved one in the care of negligent nursing home staff. But, when abuse or neglect occurs within an assisted-living facility, you need to fight to protect your elderly relative or friend. Our lawyers can help. When your employer’s insurance company is delaying or denying your workers’ compensation claim, or you simply have questions about the process, call Wagner & Wagner. We have the experience and dedication to assist after an industrial accident or construction accident. Individuals suffering from a permanent disability, such as Reflex Sympathetic Dystrophy (RSD), may qualify for Social Security Disability. An attorney can help you obtain these benefits. Our attorneys can help you draft a will or guide your family through the probate administration process. If there is a contest to the will or issues with the estate, we are there to litigate when necessary. 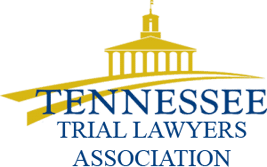 Our business law attorneys are well-versed in handling mergers and acquisitions, business fraud, and violations of commercial law and securities laws. Additionally, our lawyers can assist you in preparing and filing for Chapter 7 and Chapter 13 personal bankruptcy. As the county seat of Marion County, Jasper is home to many important municipal and county buildings. The Marion County government complex is located at 1 Courthouse Square in Jasper, and you can search through their website directory if you require help. The Marion County Sheriff is also located in Jasper at 5 Oak Ave, and reachable at (423) 942-2525. The Jasper Police Department, at 700 Phillips Ave, can be reached at (423) 942-3805. You can find more information on the Jasper City Website if you need to report an accident or criminal activity. 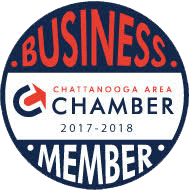 From the main Chattanooga office of Wagner & Wagner Attorneys at Law, we see clients across the state and in North Georgia. Chattanooga is 27 miles from Jasper, which equals a 25-minute drive if you follow the 1-24 route. To meet us in our main office, please call today at 423-799-3532 or fill out a contact form.